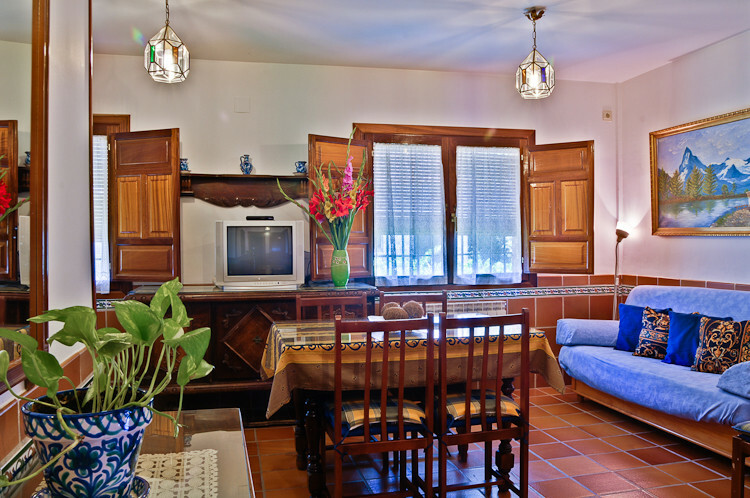 The cottage is situated in a farmhouse from the early nineteenth century and which has been renovated in 1980. 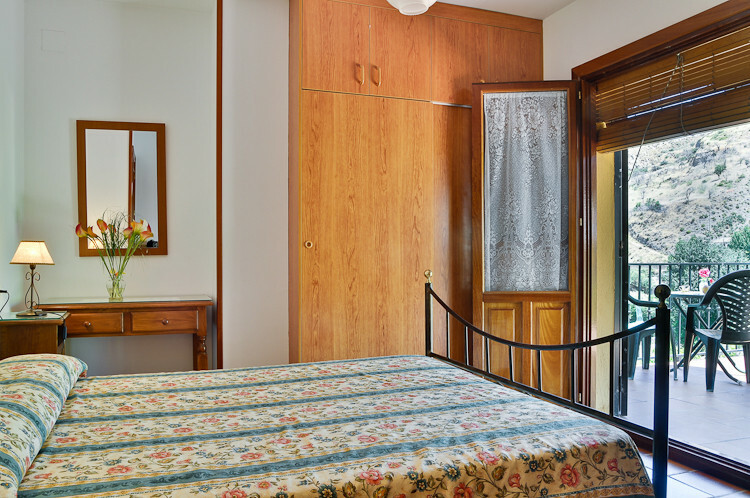 This house has a living room, 3 bedrooms (1 king size bed of 1,35, one king size bed of 1.50 and two single beds), 2 bathrooms and kitchen (TV, cutlery and crockery ...). 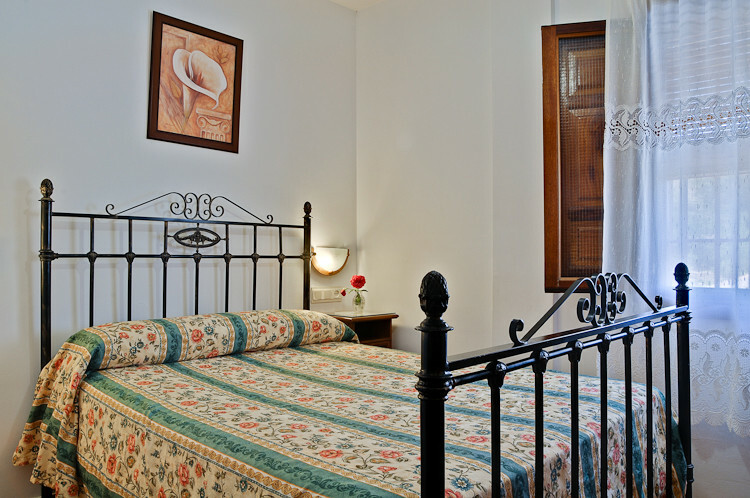 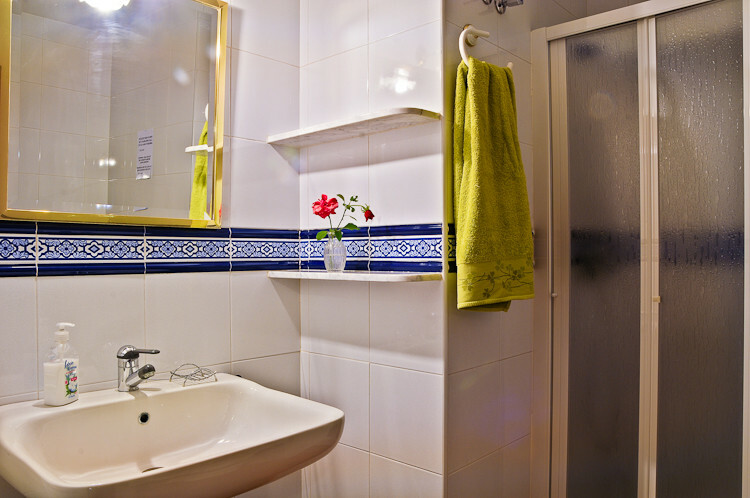 Although it is equipped for 6 people, an extra single bed can be offered for an extra fee. 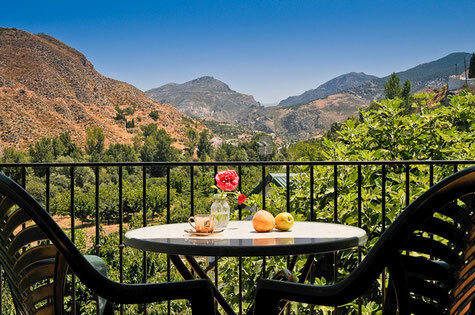 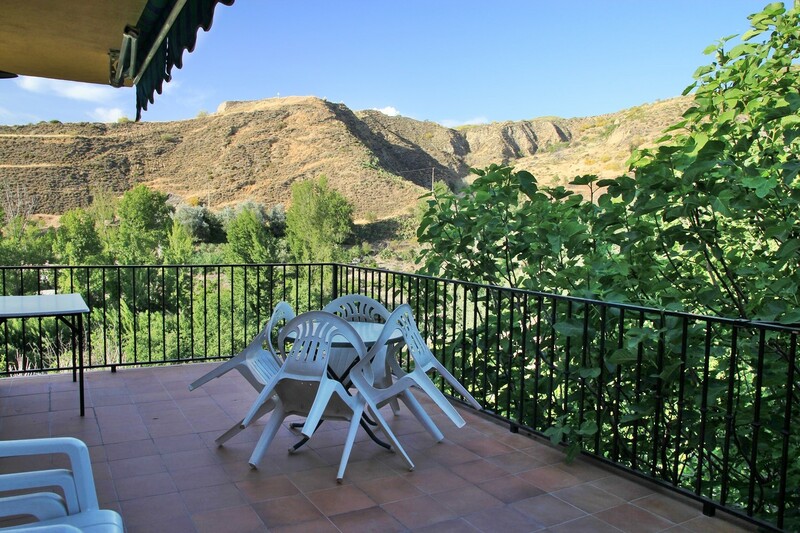 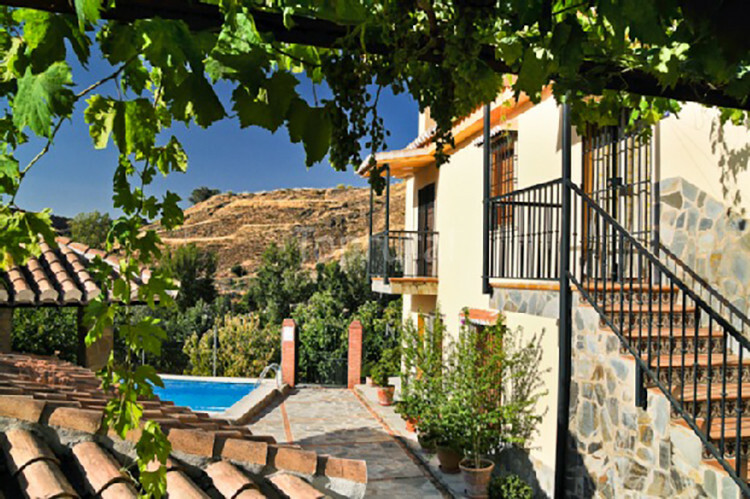 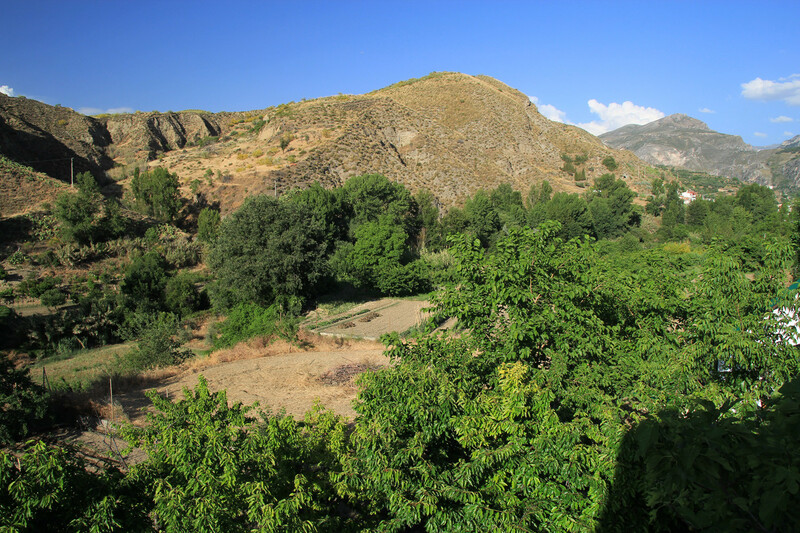 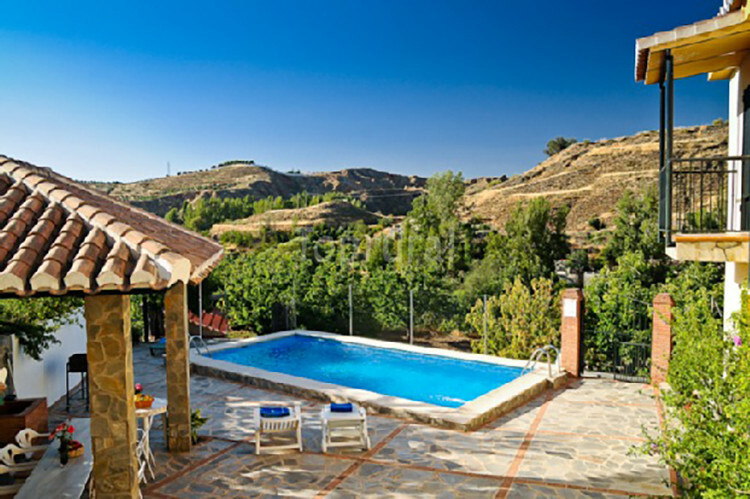 The apartment is located on the second floor and has a panoramic terrace with spectacular views on the valley of the river Monachil. 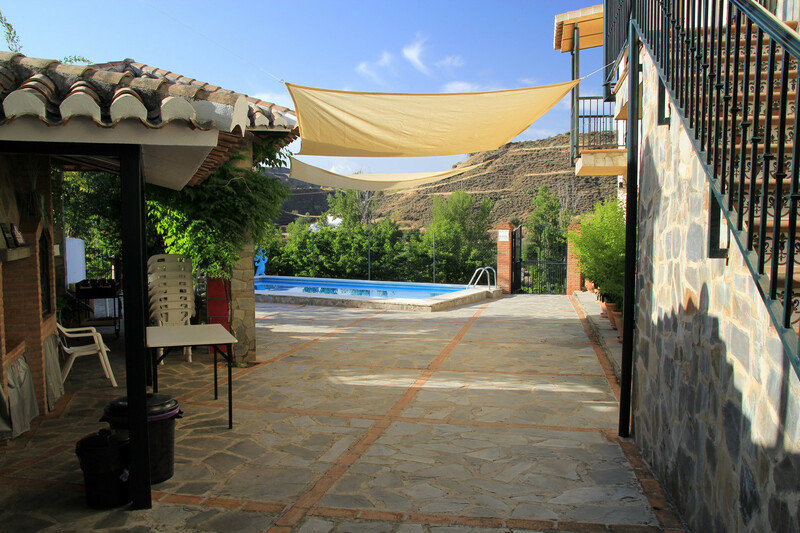 In public areas, guests have a patio with garden furniture, a pool, a barbecue and a parking for 5/7 cars. 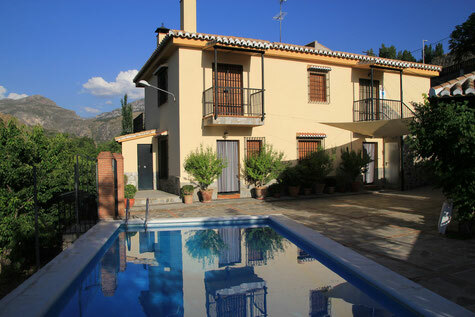 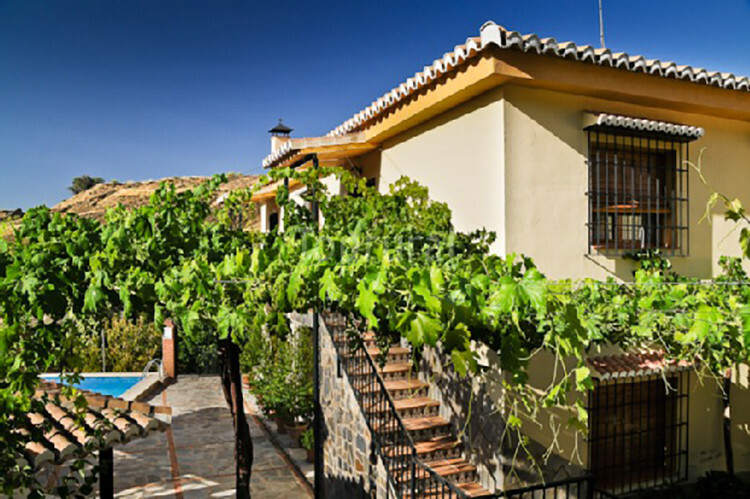 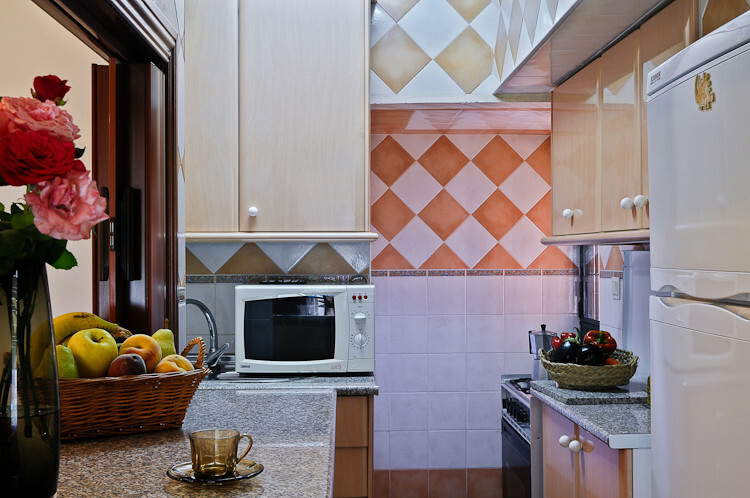 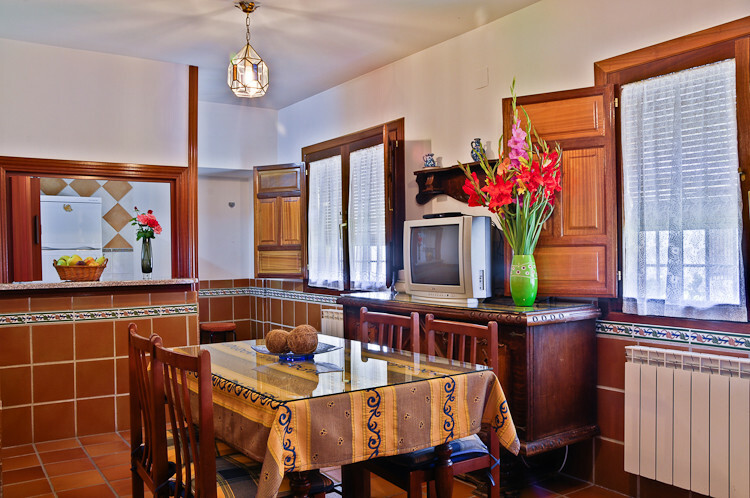 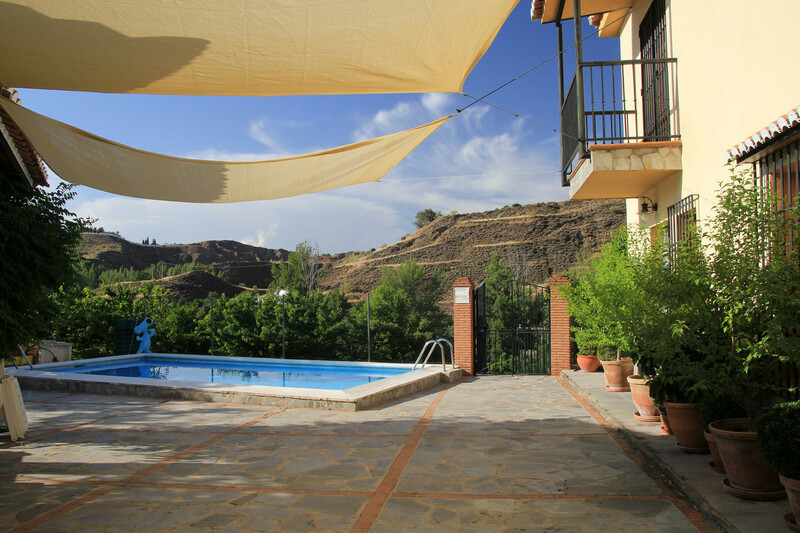 The farmhouse has a second apartment for rent and it is also an ideal house if you are with a group of 12-14 persons. 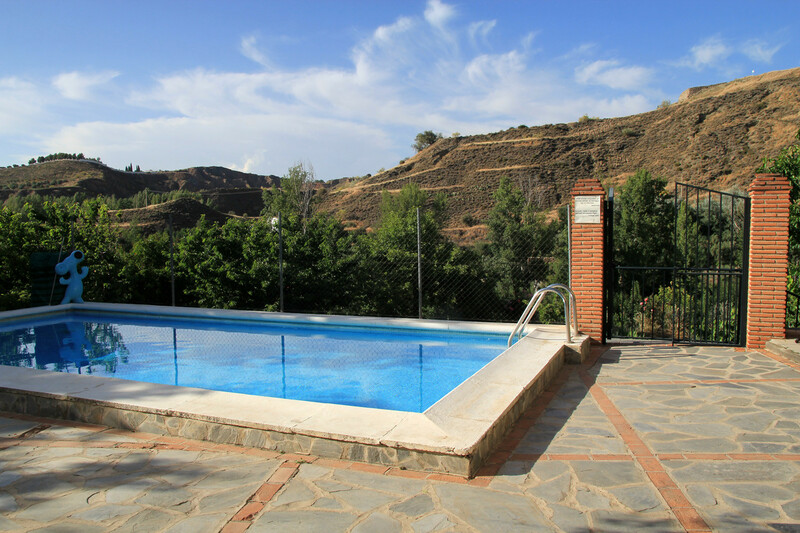 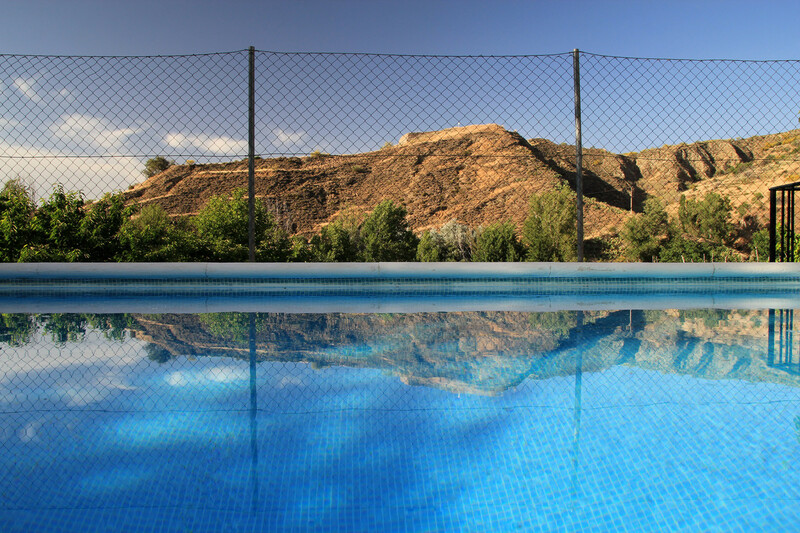 In the communal areas are a swimming pool, solarium and barbecue. 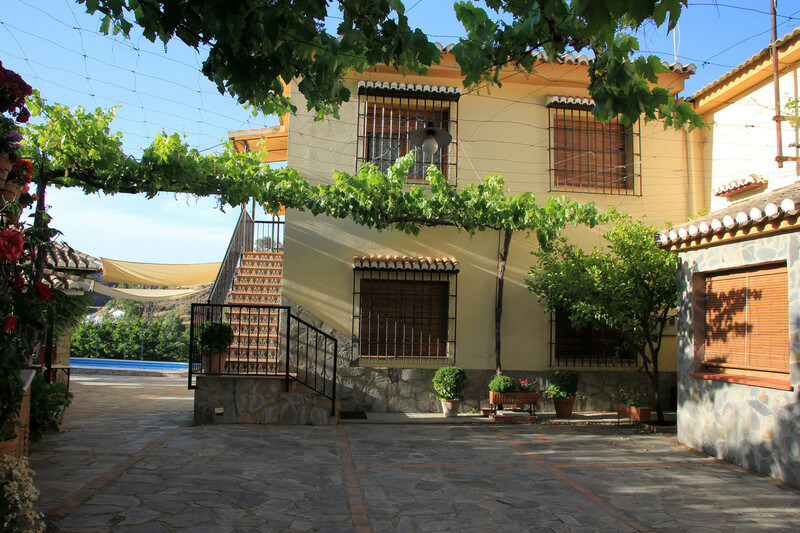 In the nearby town (2 km distance) are supermarkets, banks, bars and restaurants.